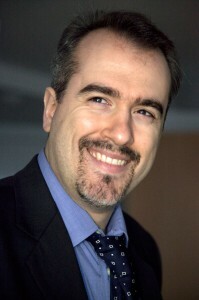 Stefano Asole is a professional Director and Cinematographer. He has worked in documentaries, television commercials, and promotional and corporate videos in various countries across the globe during the past ten years. Stefano grew up in Milan and started making short films since the age of ten. Involving family and friends he made several short films and documentaries. After graduating from high school he decided to pursue this passion into further education and moved to London to study at university. As a student of the London Guildhall University he has made several documentaries and drama short films in roles such as director, producer and director of photography. Amongst them “Ana’s Dance” where he worked as Director of Photography, and his final graduation project, “The Fridge” which he wrote and directed. Once graduated, he begun his professional career in factual television production by working for several British independent production companies, including Atlantic Productions and Oscar® winning Darlow Smithson Productions. During this time he participated into the making of various programmes and TV series such as “Mummy Autopsy” and the groundbreaking “Atlas: Italy Revealed” for the Discovery Channel, “War of the Birds” for the BBC & Animal Planet and “The DaVinci Detective” for Channel Four. He worked as Production Coordinator, Assistant Producer and Second Unit cameraman often within the same project. His production stills were published on newspapers such as the New York Times and on the front page of the International Herald Tribune. Stefano’s footage was used for trailers and promos for various TV channels and shown all over the world. Notably the slow motion footage of the Palio of Siena shot for “Atlas: Italy Revealed” is still used today by Discovery Channel International for its channel promos worldwide. Following such an extremely formative and rewarding experience in factual production he moved on to be a Production Manager for music videos and corporate video production companies such as Smashing Productions and world-renown clients like TDK. After a stint as Second Assistant Director for dramatic re-enactments for documentaries and for ITV’s drama “Half Broken Things” in 2010 he set up his own company, Video Promo Solutions. He has since worked in marketing his company and its services, managing relations with already established clients, creating concepts and pitching ideas to prospective clients and directed several promotional videos and television commercials.